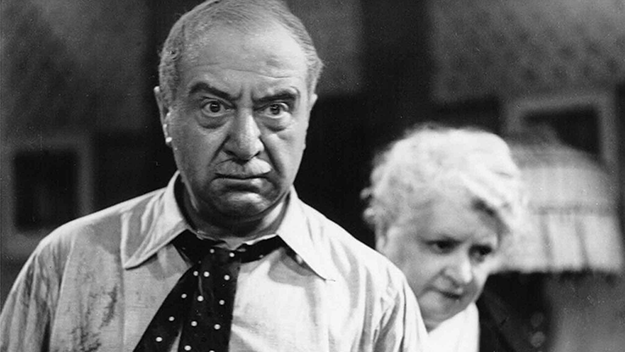 Marcel Pagnol could have gone his entire life without making a movie. Then he created The Marseille Trilogy, and cinema would never be the same. 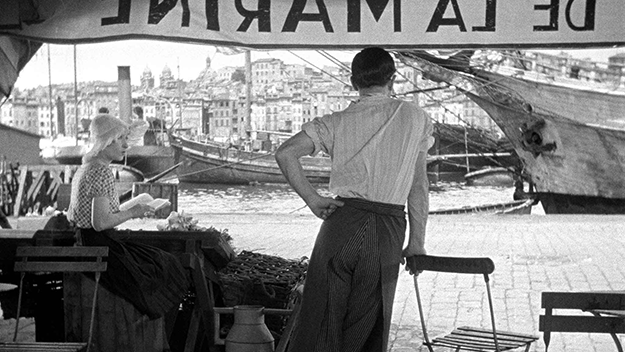 The story of The Marseille Trilogy is the story of one man discovering cinema. 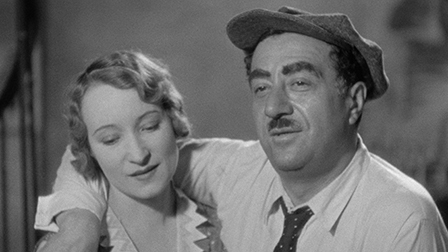 Marcel Pagnol could probably have gone his entire life without making a single movie. Born in southeastern France in 1895, Pagnol became the toast of the Parisian stage in the late 1920s when he released “Marius,” a thunderous success which captivated audiences with its bold rejections of then-current theatrical norms by ignoring strict plotting and embracing the local color of his Provençal roots, filling the stage with strange dialects and characters unheard of in the more strictly cosmopolitan areas of France. The play was a deliberately rambling, purposefully meandering story that centered on three people: the eponymous Marius, a barkeeper and wannabe sailor frequently seized by manic bouts of wanderlust; his lover, the delicate and wide-eyed Fanny who believes a little too eagerly and completely in the transformative power of romantic love; and his boisterous father César, whose Gallic temper leads to mighty eruptions of wrath, braggadocio, and emotion. His prestige secured by this little play about these three little fools, Pagnol could have spent the rest of his life comfortably churning out plays, poetry, and novels. But the cinema had other plans. With the advent of sound, many Hollywood studios scrambled to set up filmmaking divisions in other countries that could churn out local language productions of films produced stateside. Paramount Pictures was particularly enthusiastic in its establishment of a studio in France, one that quickly bought up much of the country’s available artistic talent. Paramount soon purchased the rights to a couple of Pagnol’s plays, including “Marius.” Eager for a sure-fire hit, producer Robert Kane—head of Paramount’s Paris-based Joinville Studios— assigned renowned director Alexander Korda to helm while giving Pagnol considerable creative control as well as box office royalties and his choice of actors. 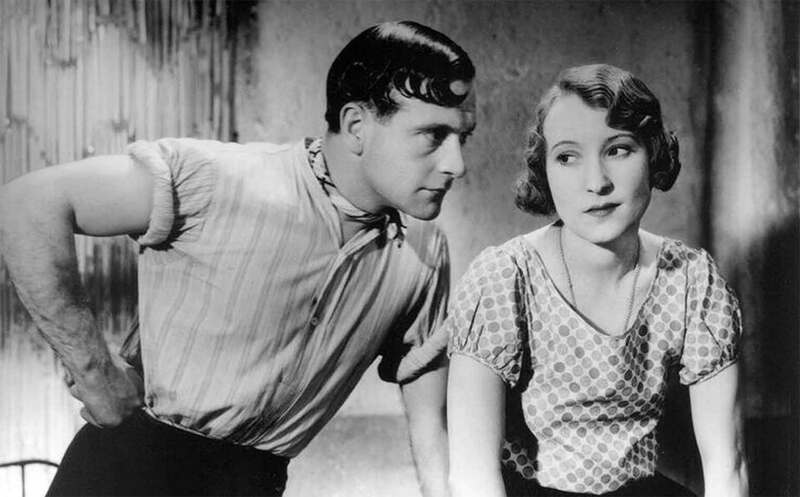 Naturally, both Pagnol and Korda insisted on casting the actors and actresses who originated the roles onstage and had perfected them over the course of almost eleven hundred performances, particularly Pierre Fresnay as Marius, Orane Demazis as Fanny, and future French cinematic superstar Raimu as César. And so the production of Marius began—a Parisian production of a Marseille play financed by Americans and directed by a Hungarian. And yet, somehow through this “whisper-down-the-lane” style of production, a singular triumph emerged: one of the first great French talkies. And with one of the first great French talkies came the first installment of a trilogy that would for decades be a cornerstone of French cinema. In-between all the conversational cul-de-sacs, all the moments of warm comedy, all the gentle, insouciant rhythms of Marseille life, the film ultimately tells the story of the doomed romance between Marius and Fanny. After much hemming and hawing, the childhood friends discover they love each other and tumble into bed. But their night of passion is quickly discovered by their families, and Fanny’s conservative mother forces the two to become engaged. Though he passionately loves Fanny, the engagement eats away at Marius’ soul—he dreams of being a sailor, voyaging around the world, seeing all the strange and exotic things hiding beyond the horizon. Realizing he’ll never be truly happy living a sedentary married life, Fanny gives Marius permission to flee in the dead of night on a ship bound for a 5-year expedition to Australia. And so the film ends with the young lovers torn apart, a tragic ending in line with the prevalence of French poetic realism, a fatalistic cinematic movement in the 1930s that focused on disillusioned members of the working class. But film audiences weren’t satisfied. They wanted more. Thankfully, they didn’t have to wait long to see the story of Marius and Fanny continued. 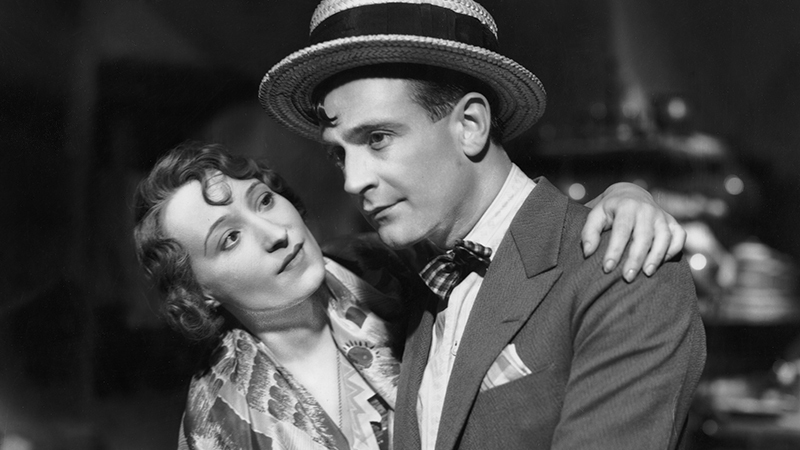 The explosive box office success of Marius guaranteed the production of Fanny (1932), an adaptation of Pagnol’s play that served as a sequel to Marius. The film sees Fanny discover that she’s pregnant with Marius’ child. But with him thousands of miles away, happily oblivious to the chaos he’s left in his wake, she saves face by marrying local businessman Honoré Panisse (Charpin). Despite being 30 years older than her, he turns out to be a godsend—he’s not only fine with Fanny being pregnant, he’s overjoyed since he was never able to have a child with his first wife. Honoré may not be the most physically attractive specimen, but he’s that rarest of treasures for a pregnant, unmarried woman in the 1930s: effulgently loving, completely forgiving, and independently wealthy. But right as they begin their new life with their son, which they name Césariot, Marius unexpectedly returns and demands custody of “his” son. Directed by Marc Allégret, the film was another box office smash. But more importantly, it maintained the integrity of Pagnol’s artistic vision. It maintained the play’s decentralized, wandering storytelling and taste for naturalistic dialogue. Indeed, if one didn’t know there was a different director, one could be forgiven for thinking that Korda had returned to do Fanny. Once more, however, the public wasn’t satisfied. and Pagnol ran into an unusual problem: he couldn’t write a third play. The towering success of Marius and Fanny had transformed its actors—especially Raimu—into superstars. They were too busy making other movies to appear together on the stage long enough for producers to recoup their initial investments. It simply wasn’t economically practical to write another play. So Pagnol went with another option: he’d write the third installment specifically for the screen. What’s more, having cut his teeth directing features like Le gendre de Monsieur Poirier (1933) and Angèle (1934), Pagnol was going to direct. Finally, the nascent filmmaker would return to the story and characters that established him all those years ago. 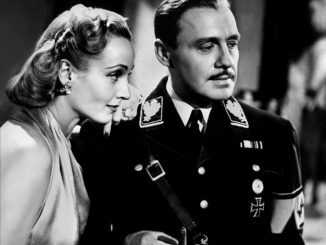 And so came the final film in the trilogy: César (1936). Set around twenty years after Fanny, it opens with Honoré’s death and Césariot discovering he wasn’t his real father. After discovering that Marius, his real father, works as a lowly mechanic in Toulon, Césariot sets out on a confusing ploy to meet him, posing as a journalist so he can “investigate” him. After a series of misunderstandings, Césariot comes to think that Marius is a petty thief involved in a drug smuggling ring. Things are cleared up, Marius and Fanny reunite, César gives them his blessing, and the family becomes one again. Of the three films, César is the sloppiest, which is ironic considering it’s also the most traditionally cinematic. Even with the numerous narrative asides—there’s a particularly amusing bit where the townspeople play a cruel prank on passersby by tricking them into kicking a large rock hidden in a hat—there’s an over-reliance on intricate plotting that simply doesn’t exist in the first two films. There was a narrative simplicity to Marius that made the emotions bombastic and larger than life. And Fanny was a film comprised almost entirely of emotional confrontations and outbursts. The characters and their inner lives were more important than anything that could be labeled as “story,” and César puts the story almost entirely at the forefront. What happens to these character? What do they do? But even more than a new reliance on story, César moves the farthest away from the other two films stylistically. Marius and Fanny frequently felt like recorded theater—theater that might be filmed on-location in Marseille, but theater nonetheless. 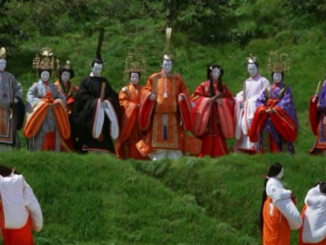 The camerawork was primarily unobtrusive and the mise-en-scène as non-extravagant as possible. The audience was an eavesdropper, and might as well have been sitting at the kitchen table alongside the actors. But both Marius and Fanny had exceptions. Fanny has a much celebrated tracking shot near the beginning the follows Fanny walking home from a clinic after learning she’s pregnant. As she weaves her way through the crowds on the sidewalk, the camera remains fixed on her, not even stopping to brush aside a strange object—presumably a camera flap—that intrudes on the left-hand side of the frame for much of the shot. It’s an impressive piece of cinematic craftsmanship in the early era of talkies where sound cameras were still large, bulky, and difficult to move for even basic panning shots. Even more impressive is how it communicates the idea that she’s pregnant long before it’s mentioned via dialogue. What other revelation could so shake a young unmarried woman so badly that she’d sleepwalk her way through a busy street? The greatest cinematic flourish, however, comes in Marius. During an early scene where Marius and Fanny chat in César’s bar, they hear the sound of a departing ship’s steam whistle. Korda cuts to a close-up of the steam whistle and matches it with a shot of César’s coffee percolator spewing out its own steam. It’s an exercise in montage to make the Soviets jealous. Through the simple power of editing, Korda underscores Marius’ wanderlust and his feelings of imprisonment in his father’s bar without a single line of dialogue. Still, the modes of recorded theater dominated Marius and Fanny, films which still labored under Pagnol’s personal creative scrutiny during production. Compare this to the opening sequences of César which see more indulgent wipe edits than any of the Star Wars prequels. Compare this to a powerful scene where César and his friends play cards only to turn to Honoré’s empty chair, the camera cutting to.a close-up of the empty stool for an effect that could never be duplicated on the stage. And compare this to Honoré’s funeral procession which Pagnol films with a sequence of shots captured with moving cameras. The man who mistrusted the cinema so much that he demanded creative control when he sold the rights to Marius had finally become a devoted convert to the same art form. He would continue working in cinema for several decades, helming such classics as Harvest (1937) and The Baker’s Wife (1938). But it was The Marseille Trilogy that made him the artist that would change French cinema forever. 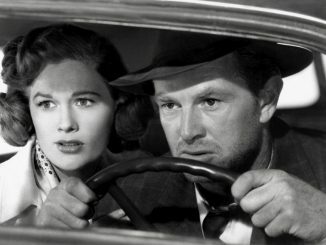 And with The Criterion Collection’s recent Blu-ray release of the trilogy—complete with a small library of interviews, short documentaries, and essays as well as gorgeous 4K digital restorations of all three films—there has never been a better time to explore one of the most influential film trilogies in European cinema. They’re crucial parts of film history. Don’t miss them.